The U.S. Congressman’s Visit at the Azerbaijan Center. 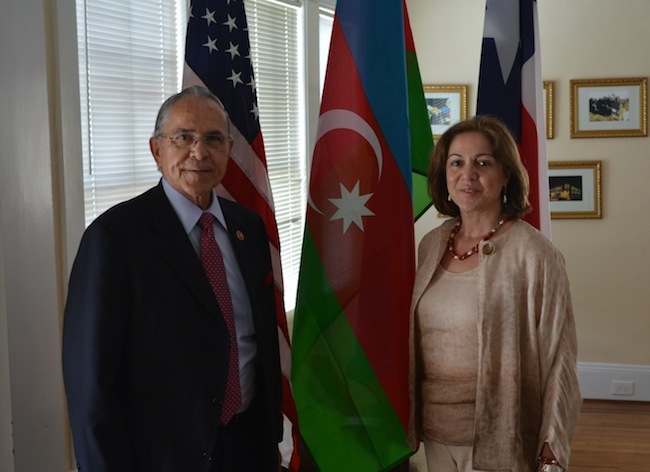 On August 6th, 2013, one of the senior members of the U.S. House of Representatives Ruben Hinojosa, representing the 15th District of Texas, visited the Azerbaijani Center in Houston (Texas), the fourth largest city in the United States. The Congressman Hinojosa communicated the importance of the partnership between the U.S. and Azerbaijan. 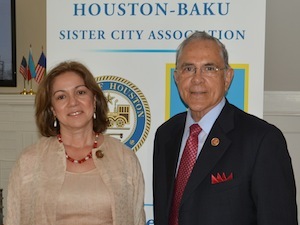 The Congressman Hinojosa has expressed a desire to visit Azerbaijan Center in Washington in June 2013, at a meeting with the Azerbaijani parliamentary delegation headed by Samad Seyidov, during a conversation with the head of the Azerbaijan Center and the Sister Cities Association Houston-Baku (HBSCA) Irada Akhoundova to discuss prospects of cooperation, investment and exchange of experience in industries such as medicine, education, petrochemicals. The Congressman discussed his desire to expand investment in human capital in Azerbaijan, and joint economic and educational opportunities between Azerbaijan and Texas, especially within his Congressional District. The Congressman Hinojosa suggested an exchange of agriculture, manufacturing and business experts between Azerbaijan and his Congressional District to share their knowledge and skills. The Congressman also mentioned the South Texas’s involvement in instilling a desire for technical, scientific, economic, and medical disciplines for students from elementary school and up. In particular, he talked about the large traditional education fair, which is held every year in Texas, where companies, universities, research centers, and etc., provide all the information for children of all ages. The congressman said that such an event might be interesting for Azerbaijan and expressed a desire to see our representatives there. The Congressman also took a great interest in history and culture of Azerbaijan. The founder of the “Bakililar” community, Elkhan Agamirzaev, who also attended a meeting with a congressman talked about rich traditions, ancient history, and unique culture of Azerbaijani people. At the end of the meeting, Irada Akhoundova presented books and materials with information on Azerbaijan and introduced the congressman with a real Azerbaijani tea, while explaining a secret to its proper brewing and other nuances of Azerbaijani tea party.